This is the first year in a while that I've had a mantle to decorate at Christmas time. If I'm honest with you, I have been staring at my mantle for over a week trying to figure out what in the world to do with it. I needed something long that complimented our tall ceilings. I found a leftover piece of plywood in my garage, and so came about this easy DIY. 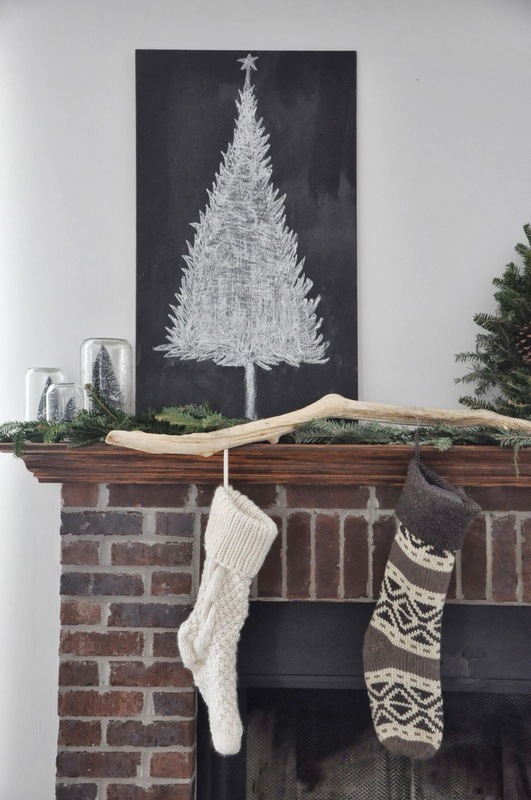 I always have chalkboard paint on hand, so this mini project didn't even require an extra trip to the store. 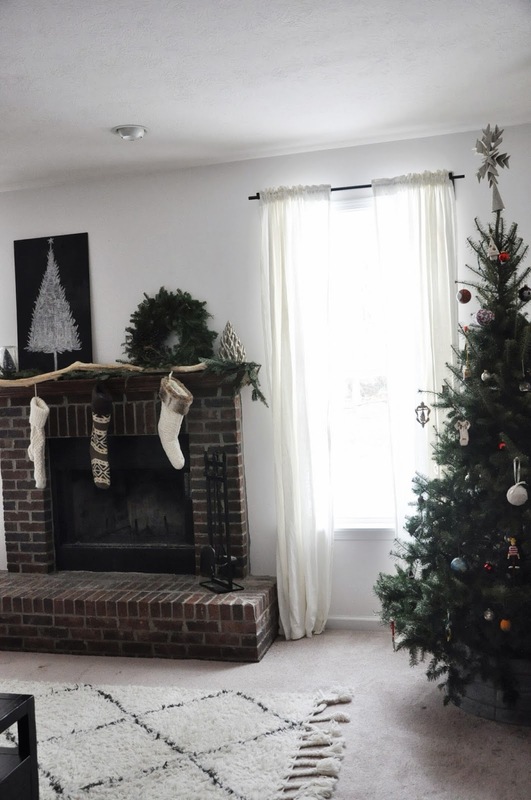 ( You're also getting a glimpse of our living room…..remember this post about the floor-to-ceiling painted brick fireplace? We've decided that needs to wait until we get hardwood floors. So, until then…..it's a work in progress:). I love it! 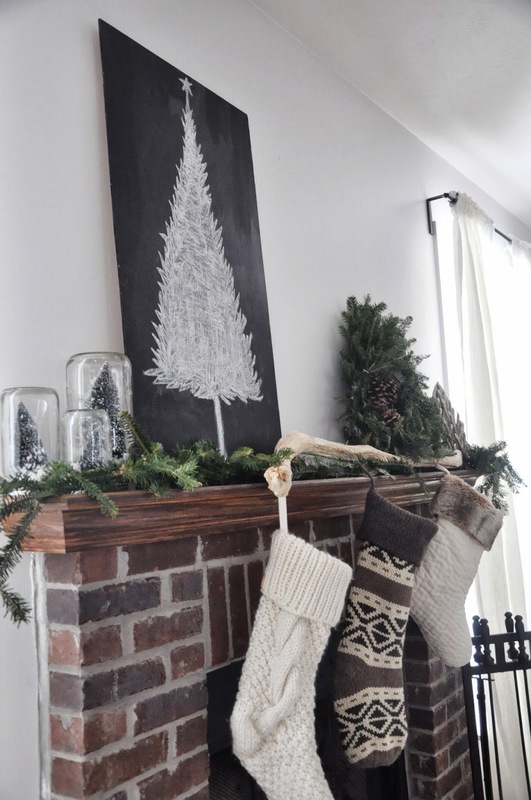 Are the stockings hanging from that branch? Wow, so perfect!!! It's meaningful and beautiful!